There is so much to enjoy about wine, but so little time! Wine Pourings is your essential guide to learning more about wine, helping you get more pleasure and enjoyment from your wine and importantly showing you how to get better value for your wine dollar. This is what we can assist you to do by providing our clients with a wide range of services all related to wine. We provide information on wine, reviews, an events calendar, hosted events and party services. We strive to be the website of choice for all things wine in Australia while also featuring international news. Visit us to learn more about good, great and fine wine and make the most of your time and money when it comes to drinking wine. Our Wine consultancy service covers advice on buying, storing and serving wine. This can be for your personal cellar, your business, or for a special event that you may be hosting. If you have a wedding, birthday or other special event coming up we can advise you on a suitable selection of wines that will match the food you are serving, satisfy your guests and be within your budget. We can stock your cellar – working to your budget - and provide advice on how to buy wines that will cellar well while meeting your tastes and your budget. Wine Pourings also offers detailed advice on suitable glassware, decanters, openers and other great wine accessories. Our on-line store will be opening in the first half of 2013. We present wine events tailored for you and your work colleagues or a group of friends or family. These private events can be a wine tasting, an appreciation course, a networking event, or a wine dinner or lunch where we match the food and select the best wines for your function and budget. These events can be at the venue of your choice e.g. your boardroom or at a corporate retreat, or we can organise a suitable venue or a restaurant. We host regular educational wine events open to the public, which anyone can come along to, individually or with your partner or friends. Wine Pourings offers a range of wine events including an introduction to wine, white wine varieties, red wine varieties, and regional tastings. We offer a series of courses with wines at different price points from quality Australian wines through to premium iconic wines. If you are having a very special event we can offer a range of aged and perfectly cellared wines which are at their peak drinking allowing you to experience the very best wines Australia has to offer. We offer a 'Meet the Winemaker' dinner series which gives you the opportunity to taste a number of wines from one maker while having the opportunity to hear and learn first-hand about the special characteristics of his or her wines. As a variation on this theme, we will be organising events to mark special occasions such as the release of iconic wines, where we can offer a comparative tasting of the latest releases plus some back vintages and/or comparative tastings with similar standard wines from other makers. With all our events we believe that they should be informative and educational, but blended with a healthy dose of fun and laughter. We offer a range of events designed to meet the needs of corporate clients wanting to offer their clients and employees something different. All events are around two hours in duration and include tasting 8 different wines plus related information on wine buying, serving, tasting, cellaring and food matching. Specially tailored presentations can also be provided highlighting a specific variety e.g. Shiraz, Cabernet, Pinot Noir, or Chardonnay or a particular region e.g. 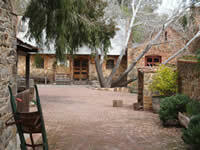 Barossa Valley, Clare Valley or Margaret River. What better way can there be to learn about wine and appreciate it more, than to visit where it was made and talk to the wine maker? Knowing where the wine comes from, the characteristics of the region and the things that make it special can only enhance your wine drinking pleasure and impress your friends with your knowledge of the wine you are drinking and enjoying. Most wine regions have an incredible number of wineries that you could visit, some up to 50 or 60, and unless you are fortunate enough to have lots of time, you won't be able to visit them all. This is where an organised tour, a guide with local knowledge or at least a suggested itinerary can save you time and help get you maximum pleasure out of the time you have. It also means you will pick the best or most suitable selection of wines to take home. Wine regions are not just about the wine, there is the history, geography, culture, restaurants, hotels, markets, crafts, culture and the people all of which will make your wine region tour so much more worthwhile. Wine Pourings Director and Wine Consultant Ralph Henderson is a skilled and experienced presenter and this coupled with his wine knowledge makes him a sought after wine educator, speaker and presenter. The presentations are informative and entertaining and explore the fun side of good, great and fine wine. Ralph has spent much of his working life in tourism; regional planning, marketing and project development, for state and federal tourism agencies. He has worked on development and marketing plans for wine regions and development projects in wine regions. Along the way Ralph has visited and studied most of Australia's wine regions and many of those in New Zealand. In his presentations, Ralph successfully combines his 30 year knowledge of wine and the wine industry with many amusing and entertaining anecdotes. 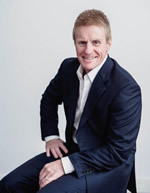 Ralph is a member of Sommeliers Australia and Wine Communicators Australia. It is a well-known fact amongst Ralph's friends and colleagues that when he opens a bottle from his cellar it is worth writing and reading about! 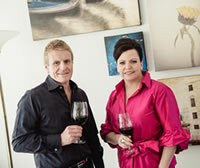 Helen Wood is a Director and partner in Wine Pourings and has a growing love and interest in all things wine. Helen has attended and hosted many educational wine events. 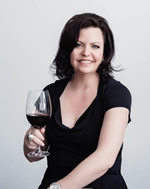 She is an entertaining and informed host who supports Ralph in Wine Pourings events and courses. She has a love of all good, great and fine wines with a particular focus on champagne. She is an accomplished and successful business woman who is the Managing Director of TMS Consulting. Helen has been in the private sector for 7 years after a long and successful career in the public service. As a business woman she is a fan of the Widow Cliquot and other prominent women, in history and more recently, who have achieved success in a male orientated industry. Helen brings her love of event management, facilitation and providing high quality products to Wine Pourings. COPYRIGHT © WINE POURINGS. ALL RIGHTS RESERVED.